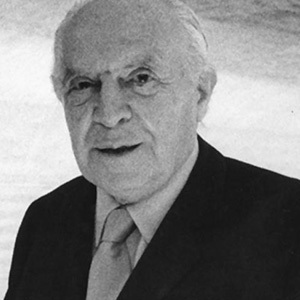 Gio Ponti is an Italian designer born in Milan in 1891. In 1921 he graduated in architecture at the Milan Polytechnic and after his studies he opened a studio associated with other colleagues to propose furniture and design objects. From 1923 to 1930 he worked as artistic director of Richard Ginori in Milan and in Sesto Fiorentino. In 1928 he founded and directed the Domus magazine until 1941. 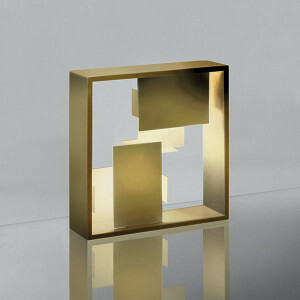 Participates in the Biennials of Decorative Arts in Monza and the Triennials in Milan. Ponti designs some of the most important buildings in Milan such as the Pirelli skyscraper and the Montecatini Palace. From 1936 to 1961 he teaches teaching at the Faculty of Architecture in Milan. He died in 1979. Gio Ponti designed the "Fato" lamp for the Artemide company, a lamp with geometric shapes and a dual function, becoming a lamp and a showcase.